Expand search to view more listings in and around Jersey City. See more offices in and around Jersey City. To help you find the best location for your Jersey City office space, the Offices.net site allows you to browse through all the furnished offices, coworking office space, executive office suites and commercial office spaces in Jersy City, and get the critical details about each one quickly and easily. We have a wide range of spaces available, most with flexible rental terms that can be altered to match your company's needs. Our mission is to help your company find the ideal work environment, arrange a rental agreement that suits you, and get you into your new office space for rent as quickly and easily as possible. 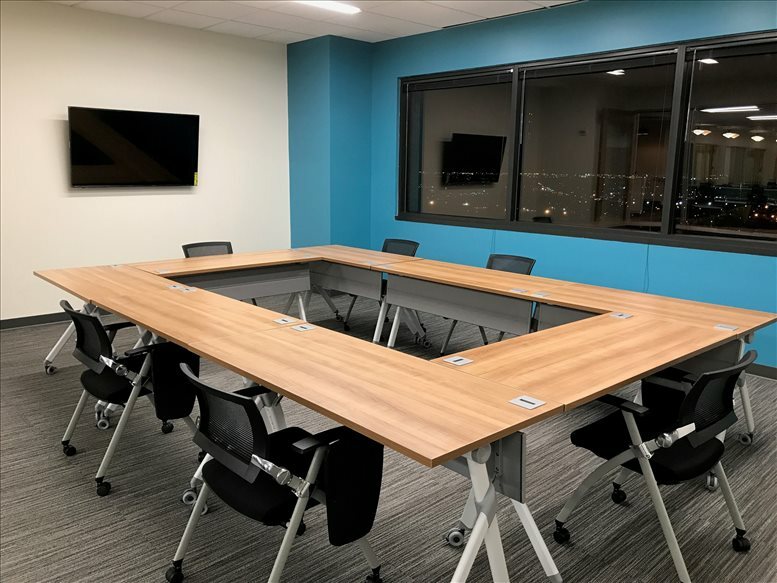 There are a wide range of office spaces available, from conventional space rental to executive offices to serviced offices to coworking space to single hot desks to virtual offices to fixed desks to shared office space rental and office suites for teams and the largest organizations. We would be happy to help you navigate the options and find the office space that is best for your company. As well as the private offices and shared office space listed above, our team can also provide a wide range of executive office suites and flexible office spaces for rent in ideal locations in other cities in New Jersey, available on flexible terms to suit your business needs. The Hudson waterfront area alone contains more than 22 million square feet of office space, a figure that virtually represents the totality of office space in Hudson County, of which Jersey City, NJ is the county seat. Downtown Jersey City experienced a development boom thanks to which dozens of retail/office towers have been built over the past few years. This has also turned Jersey City into a prime investment location for commercial real estate developers. 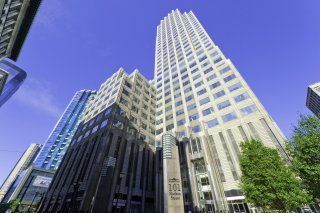 Also contributing to the healthy status of the local office market are programs like Grow New Jersey, which aimed to support large-scale relocation and brought to the city office tenants like JP Morgan, Merck, Forbes Media, and RBC Capital Markets. Key market indicators include average vacancy rates of 13 percent and asking rents for commercial office properties below $45 / sq ft / year (2017 data). The city's excellent location, friendly business climate, and quality of office space at reasonable rates have turned Jersey City into one of the most attractive markets in the United States. Further development is expected given that several projects have been approved or are already under construction in the waterfront area, including several mixed-use high rises and office towers. A number of the business centers come inclusive of a range of office services, with friendly reception staff, security and onsite IT personnel, WiFi and internet services. Many of the office buildings provide air conditioning, hot desks, video conferencing facilities, event spaces, conference space, meeting space and kitchens. Pick one of the furnished offices in Jersey City, NJ listed above. All of the flexible office space for lease listed on this site is in a prestigious location, and is available for instant rental on flexible terms. Jersey City is the second largest urban center in the state of New Jersey. Due to its short distance to New York City (barely 15 miles away from downtown Manhattan), Jersey City is often considered part of the NYC metropolitan area. Key Industries: The city's location by the Hudson River and New York Bay helped Jersey City emerge as an important logistics and distribution center soon after its foundation. Today Jersey City is a notable banking and financial center, a fact that is reflected in nicknames like Wall Street West or the Sixth Borough. The city is also renowned for its solid FIRE sector (financial, insurance, and real estate), and also experienced large-scale growth in retail trade, construction, manufacturing. Moreover, the local industry base shares similarities with the state of New Jersey, where the predominant economic engines are life sciences, technology, and food production. 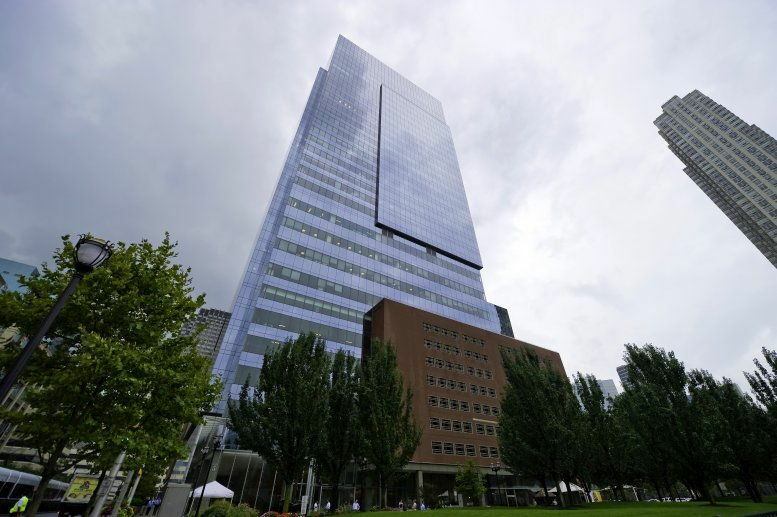 Major Employers: There are several Jersey City companies with more than 1,000 employees each, including Goldman Sachs, Citigroup, JP Morgan, Deutsche Bank, Mellon Bank, United States Parcel Service, Jersey City Medical Center, Jersey City Board of Education, Broaderidge Information Services, the County of Hudson, and Computershare. Labor Market & Employment: The significant amount of business relocations that took place during the mid 1990s helped strengthen the local labor market, bringing a surge in professional and business services jobs. Unemployment rates have been declining steadily for over a decade, and in 2017 they reached an all-time low of 4.1 percent. In addition, and since 2013, special efforts have been made to boost job creation and to strengthen Jersey City image as a top-class business destination, which resulted in the relocation of corporates and multinationals whose presence contributed to a vast improvement in the local labor market. Business Support: Jersey City's location half-way between New York City and Newark contributed to the prosperous business environment that characterizes this destination. Information on starting a company and other related procedures is available from the city authorities, and dedicated support to small businesses is also offered to business owners by a number of public and private sector institutions, such as the Jersey City Small Business Services Office.